In a delivery ceremony held in Toulouse, Evelop has taken delivery of their first Airbus A350-900 supplied by Air Lease Corporation. Registered EC-NBO, serial number 293, the aircraft is the first of two expected to be handed over to the airline, with the second due next year. 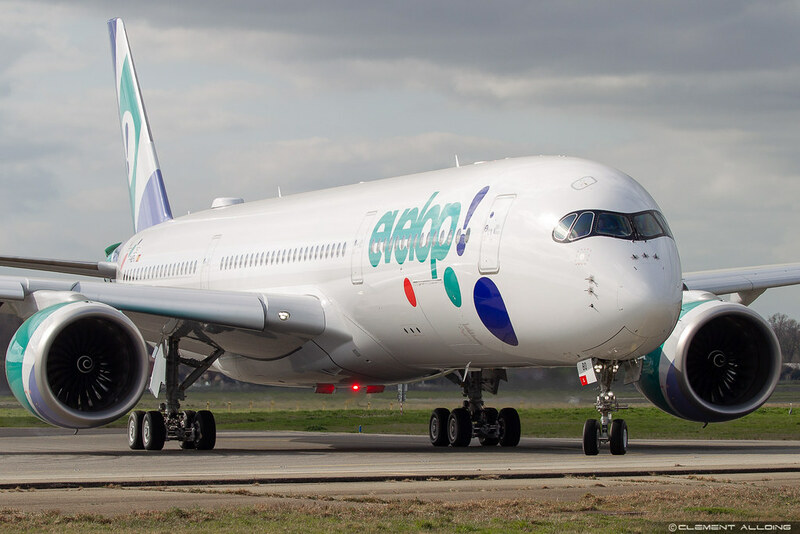 Being the primary charter airline for Spain under holiday company Avoris, Evelop will base the aircraft at Madrid-Barajas Adolfo Suárez Airport, where they’ll operate it on long-haul flights to Caribbean destinations. The following pictures are from the delivery ceremony in Toulouse, which was minimal but enjoyable for the airline executives and crew members that attended. Evelop has their A350-900 configured in a single-class layout, loaded with 432 economy seats in a 3-4-3 configuration. Despite this cozy cabin, each passenger has access to individual entertainment systems. More details about the cabin will be unveiled shortly. Madrid – Havana from the 12th of May once weekly. Madrid – Cancun from the 10th of May twice weekly before extending to thrice weekly between the 20th of June and 16th of September. Just like most airlines adopting a new aircraft type, Evelop will first fly the aircraft on domestic routes to familiarize pilots and cabin crew, however commonality with their existing fleet of Airbus A330s and A320s means crew members should feel right at home with the type. What are your thoughts on Evelop’s Airbus A350? Virgin Atlantic’s new plane looks very chic, especially the lounge! I hope to fly that in the future.